Difference of IKEBANA and Western floral arrangement? When I traveled foreign countries, I found some different customs, cultures, and ideas. It is all new to me and leads me more eager to know its deep culture. 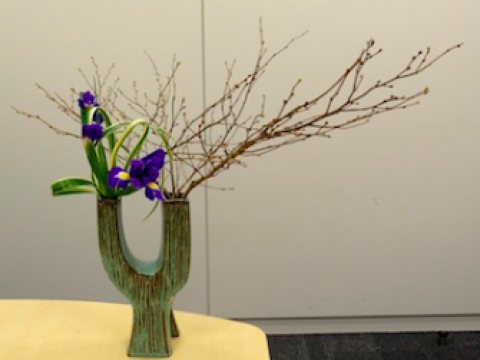 I will be frequently asked the difference between IKEBANA and western floral arrangement. 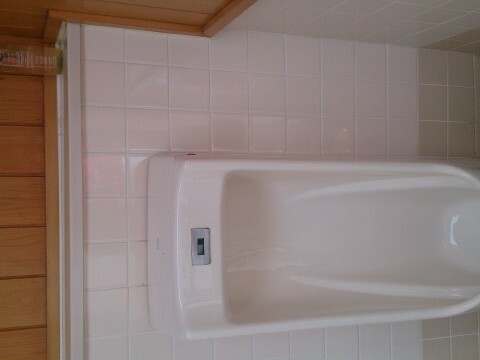 Here is my works above the pictures. 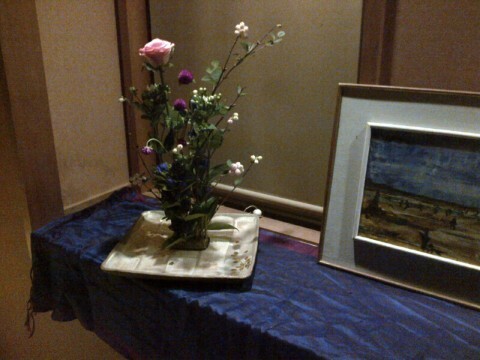 (Left) my IKEBANA work: Line of branche is very important role for IKEBANA with some spaces. It is very more like unbalanced and asymmetry. 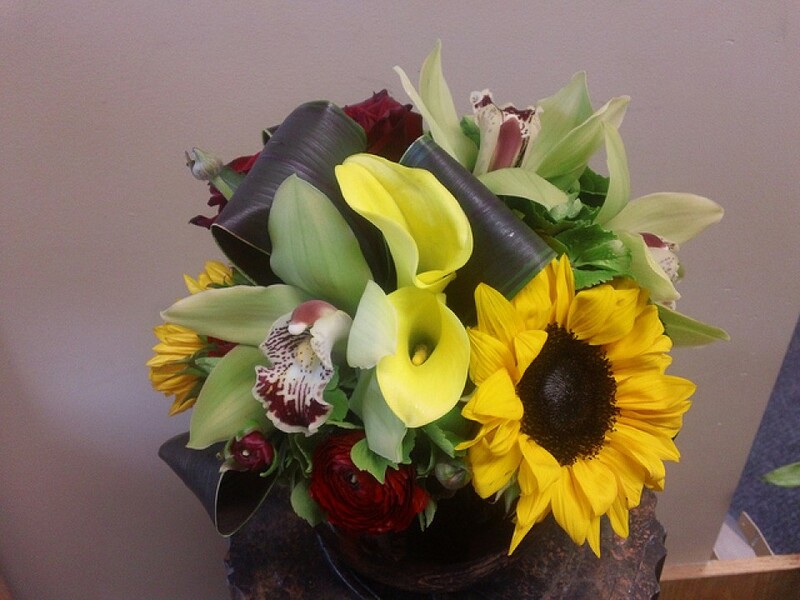 (Right) flower arrangement work :Put flowers in the centers to make round shapes. It was very well-arranged without any spaces. 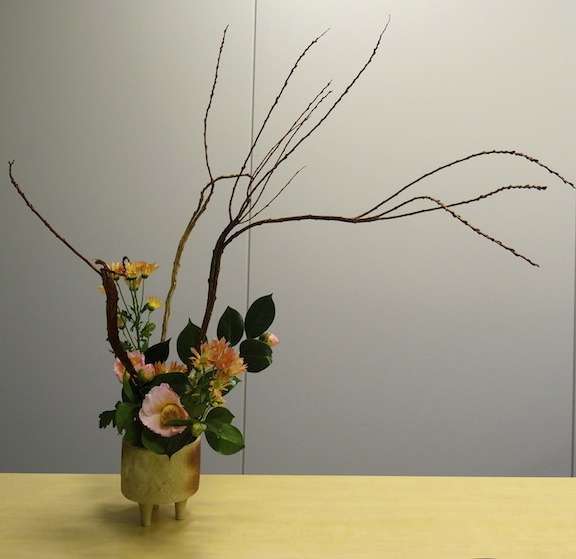 Ikebana uses flowers, branches, and leaves because we have very beautiful four seasons in Japan. 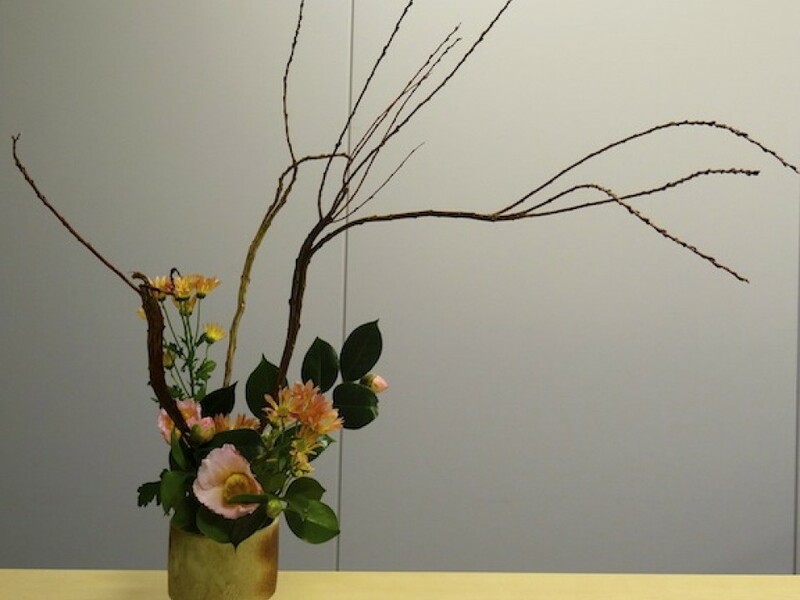 One of differences between IKEBANA and western flower arrangement is that Ikebana can be alive even one branch, with making space, while western flower arrangement is more crowed flower without any space. As an example, flower arrangement is plus(+) while IKEBANA can be minus(-). Since this is one of theories, we can't say for this definition recently since IKEBANA become to suit modern age and creative. So now it is sometimes hard to say the difference clearly once you see the each works. However, our ancestors found themselves that the act of arranging flowers become a spiritual act, and developed to a high-art in our history. So, I found that difference between them might be more internal, not technical methods. IKEBANA shows inside of yourself like mirror and learn about yourself through IKEBANA. Learning IKEBANA provides you not only learning technique of IKEBANA arrangement but also learning true understanding and feel of Japan and about yourself through the philosophy of our view of the natural world.